I smiled kissing jack back, I was so happy he said yes, i had been so scared he would say no. But now here i was kissing him in celebration of him saying yes.Jack pulled away, his eyes just glowing and he was beautiful in the lighting. I hugged him holding him close. I held Mark&apos;s hand in mine as we walked back to the camp where the others were, wade singing sitting in a tree behind us. I laughed sticking my tongue out at him,we were so childish. But i didn&apos;t care i was the happiest man alive, I was hand in hand with the Man i loved more than the world itself and i was now his faience,and i was surrounded by my friends who supported us and were overjoyed to hear we were getting married.as we came to the camp the guys were cheering and throwing confetti.I smiled as Felix came running up to me and hugged me." "WHOO THE LEPERCHAUN IS GETTING MARRIED! "I laughed lightly pushing him, Mark smiled pulling me close  then kissing me in front of all of them, only boosting their enthusiastic energy.Tyler then ran up to us and threw a arm around us. He smiled widely squeezing our shoulders. "Guys, in honor of your purposal I say we celebrate with drinks and smores! "I smiled widely cheering with the rest of them.Mark kissed me again,and raised his fist in happiness.Tyler then patted Mark&apos;s shoulder and smiled as i Went to the tent to get the marshmallows. As i opened the tent i found that we had ran out of marshmallows.I groaned and looked at the guys. "Were out of Mallows! "The guys awwed but Mark pipped up. "Hey, I could run to the store and grab a bag while you guys get the drinks and a fire started. "I smiled, nodding.Wade clapped a hand on Mark&apos;s shoulder. "I&apos;ll go with you so you don&apos;t have to go alone. "I grabbed Mark&apos;s keys and threw them in his direction he caught them.I turned to Felix and Tyler and smiled. "Well lets get the fire and drinks out!" I started the car, laughing as Wade Made a stupid comment about how i have my chair close to wheel. "Well wade i&apos;m not a tree like you! "Wade laughed throwing his head back. I turned my focus to behind me as i pulled out.I switched gear and began to head to the store just up the road. I couldn&apos;t help but keep a smile on face as we drove, Wade chuckled. "You really did it Mark. I hope it goes well. "I nodded thinking about his expression when i pulled the ring out. "Yeah, i feeling this is going to be the one, The time i can finally be happy. "Wade nodded his smile wavering a bit. "Yeah,I&apos;d hate to see you hurt again,But i think Jack loves you more than Arron did. "My smile wavered a bit at his name but i pushed the memories of him away. "He does believe me. 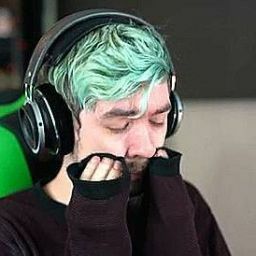 And if you could just keep the whole Arron thing quiet.I don&apos;t want Jack to know about him, cause as much as i love him i wont let anything ruin his night. "Wade nodded again agreeing with me.I sighed smiling again. "You know we are just a bunch of kids wade, I purpose to Jack and he says yes and were going to celebrate with smores...I couldn&apos;t agree to it more. "Wade chuckled. I glanced over as he opened his mouth to say something but his easy going expression turned to fear as he pointed and yelled. "MARK LOOK OUT. "I looked out in front of me as a deer stopped in the road, My heart stopped as i quickly swerved, screaming as i lost control of the car sliding into the other side of the road where a loud horn and a white flash hit the car. I blinked slowly as i opened my eyes, I was upside down and glass was everywhere, I felt a warm sensation roll down my face, i reached up touching my forehead as i saw red cover my fingers. I blinked again, My head pounding and my body dancing with pain. I looked over trying to find wade, he was next to me upside down too, but he wasn&apos;t moving. I pushed him gently using what small amount of energy i had. I reached up releasing my bucking and falling onto the shattered glass, i yelled in pain as the glass hit my back, i was fading in and out now but i had one thought running through my mind. I slowly gripped my phone dialing his number. He answered laughing into the speaker. I gave a weak smile starting to lose consciousness, i spoke softly into the phone but loud enough to get his attention.